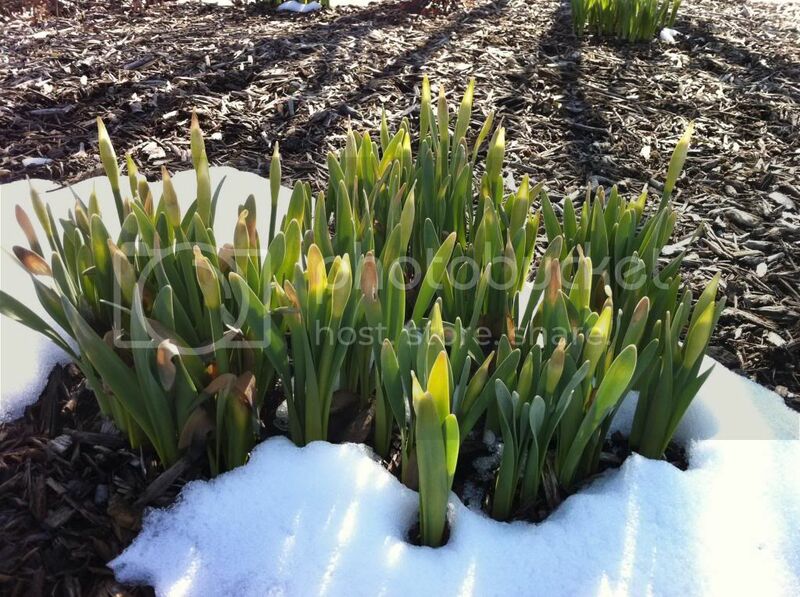 After some early growth on a few bulbs and perennials that led many of us to think that spring might come early this year, mother nature changed her mind and put the breaks on a bit. Personally I don't mind that it has been cold as of late because that will only help us out in the long run to avoid too much early season growth that might be damaged by late spring freezes and frosts. Daffodils such as these have little trouble with spring snow or low temperatures and even those that emerged in mid-winter still seem to have viable flower buds. 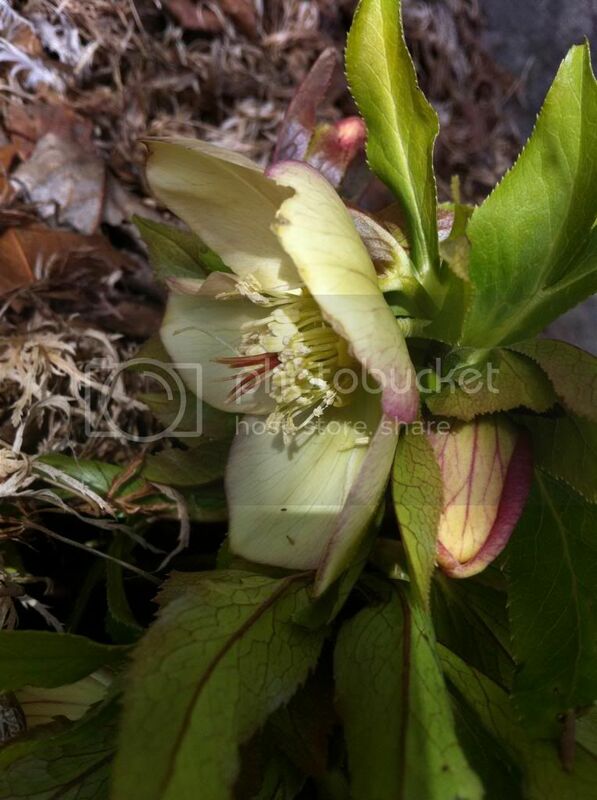 Hellebores are also extremely well adapted to blooming during cold weather. This beautiful smoky purple form that I have at my house slowly opened up over the last week or so even with lots of days with highs in the 30's and quite a bit of snow to start off the month of March. The same can be said of the "yellow" form that I purchased a couple years back. I am very happy with the amount of flowers they are producing this year! 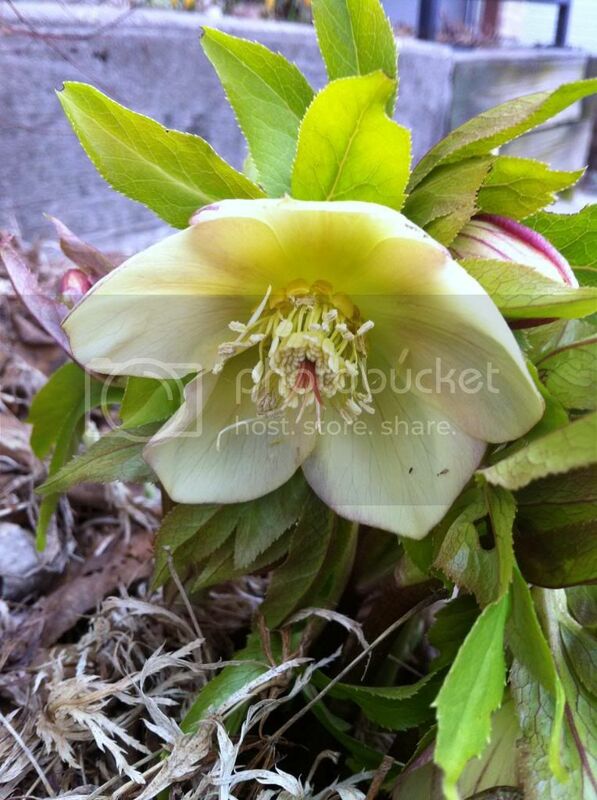 The weather this winter sure has tricked a few of the early spring blooming plants this year! 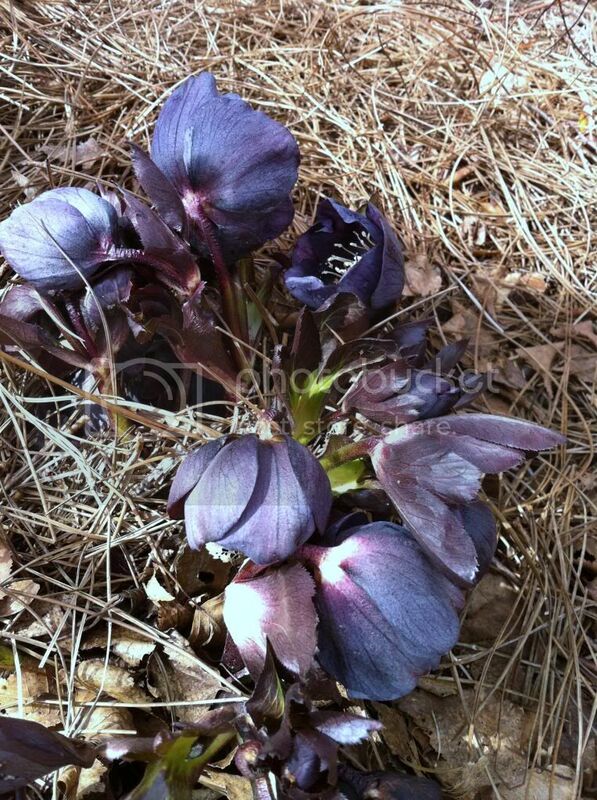 At my home garden I've had daffodils and hellebores up since Christmas, and the hellebores tried to bloom in mid January. 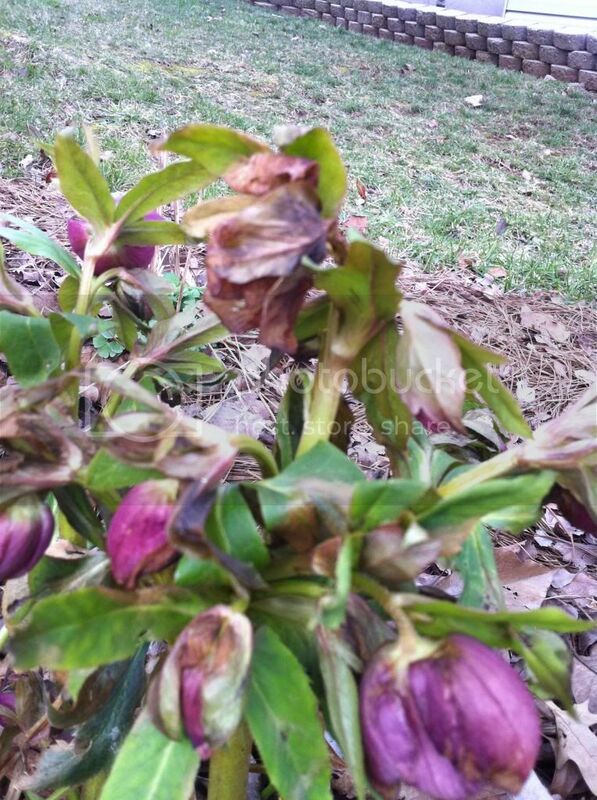 Unfortunately the last period of cold weather gave us more nights in the single digits and proved to be more than the foliage and flower buds on my hellebores could handle. 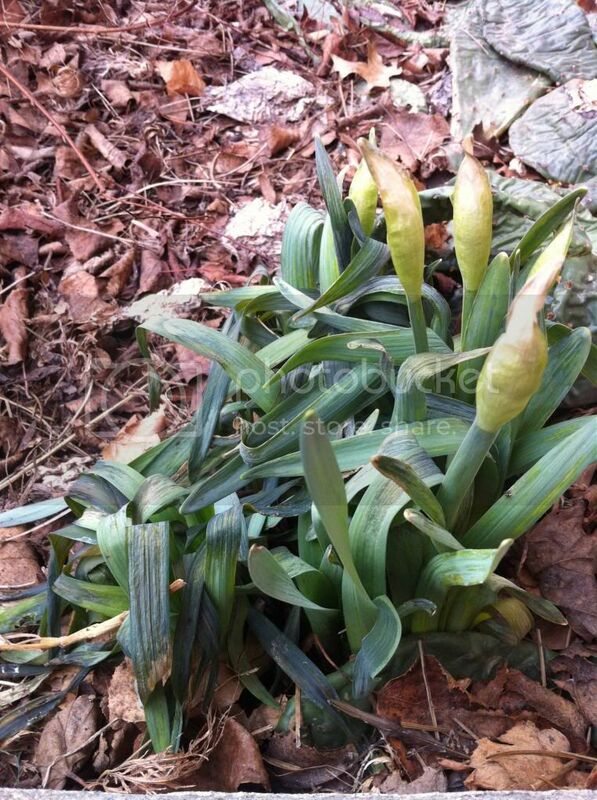 The daffodil foliage even suffered some to my surprise. 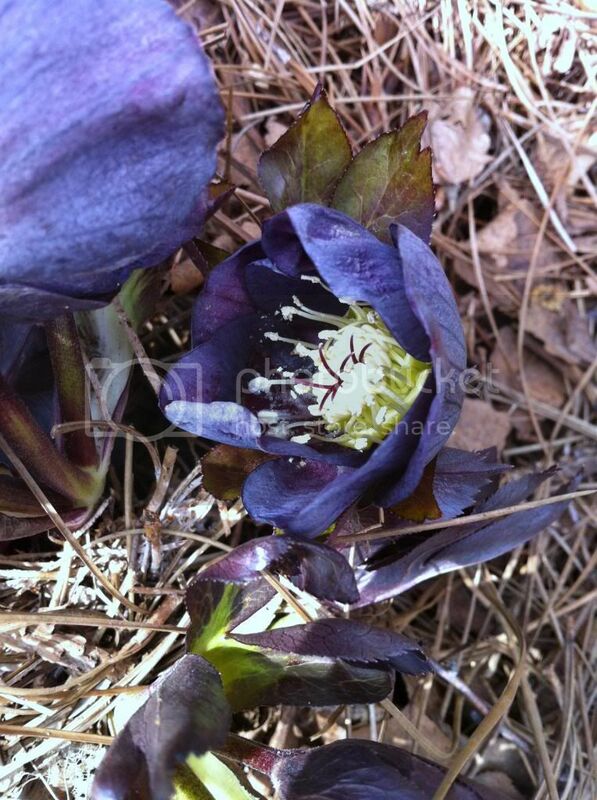 Fortunately, I doubt that the flower buds will be damaged, and the hellebores still have plenty of unopened flower buds remaining. If you have plants that look like mine simply snip off the burned areas and they should be fine. 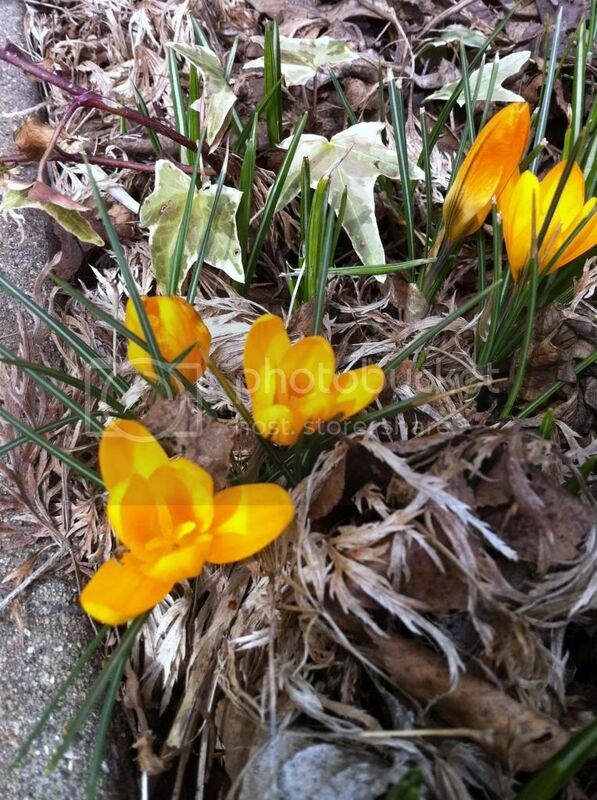 Early blooming plants are very tolerant to cold weather, and are seldom harmed by it. As the glowing fall foliage colors on our trees and shrubs quickly become a distant fading memory we must now depend on other means of color in the landscape. Colorful fruit is one way to keep our gardens interesting as winter approaches, and also provide much needed food for wildlife in the process. In our region trees such as hawthorns and crabapples provide excellent fall fruit displays and can range from brilliant reds, oranges, and gold. An excellent selection, but rarely encountered selection of crabapple is 'Harvest Gold' (Malus x 'Harvest Gold'). This form boasts beautiful small golden fruit that will last well into December. Small fruit also means less of a mess to cleanup if wildlife don't devour them all. Viking Black Chokeberry is a great, underused shrub for fall fruit interest. Blackish purple fruit are quite effective and dependable. The selection 'Viking' was actually made for having exceptionally large, edible fruits that are used for juice, jams, jellies, and syrup. Thriving in low wet areas and drier locations equally well. Fall color is also usually a good brilliant red. Grows 3-6' tall and wide. No landscape is complete without having a couple deciduous holly plants. In Kentucky you can't find a more colorful fruit producing shrub that can tolerate both wet and dry soils with little complaining. Various selections are available in many shades of red, orange, and yellow-gold. Below we have 'Winter Red'(red fruit), and 'Afterglow' (orange), both are selections of Ilex verticillata. You will need one male plant tucked into a corner nearby to pollinate the female plants for good berry production, that would be the only drawback to an otherwise amazingly colorful shrub. Remember, fall is for planting, and fall is for fruit!! Now is the time to seek out plants for colorful fall fruit displays at your local garden centers.